The Pro Shop has just taken delivery of ProQuip lined merino Jerseys which are crested with the members only logo. They are incredibly warm garments without being bulky so will not restrict the swing in anyway. If you've been reading our newsletters, then you've probably seen some of the big new launches already. 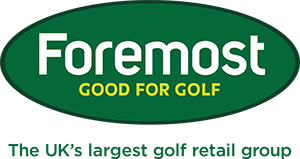 Next week Foremost TV will be heading to Orlando for the PGA Merchandise Show. What does that mean for you? Well, stand by for some exclusive video content from the people behind some of the very latest equipment launches. Foremost TV has access to some of the key figures in the golf industry, so we'll be able explain what's coming this year and how it may help your game. If there's technology out there that will help you enjoy better golf, then rest assured we'll be able to help advise you further. If you'd like to register your interest in a new product, get in touch here.